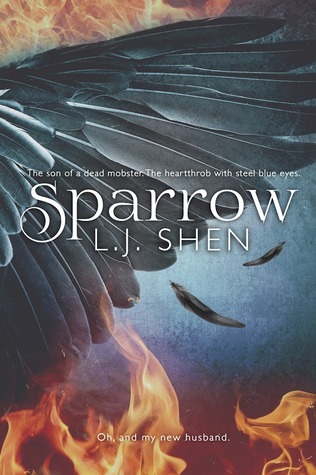 In this book, Sparrow is forced into a marriage by gang leader Troy because Troy is not someone that you say no to. But Troy harbors his own reason for why he wanted to marry her and as he gets to know her, he finds that things get complicated once feelings develop and get in the way. I started reading this book because there was a recommendation for it one of the Facebook groups that I am. I was a little put off by it because it didn’t seem like something that I would be interested in, but the fact that I could read it via Kindle Unlimited helped make my decision. It was a dark and mysterious story as we dive into the world of the Boston gangs and how they run the city. Troy is not your knight in shining armor. In fact, he is the one that is trying to corrupt you. You want to hate him, but you can’t because he is every fantasy that you never knew that you had. Being from Massachusetts, I looked to see how authentic it actually is. I have seen authors before where they try and do a book from Boston but fail to capture that essence that truly is living in Boston. This book didn’t quite capture the language (replacing the r’s with h’s) but it did capture the atmosphere of Boston. The crazy weather, the city, and nature of living in Boston. Though, I heard on the audiobook they got people from Boston to do Sparrow and Troy so that would have changed that opinion for me. But reading it, it didn’t read like they were from Boston. Troy was a bad boy that I was even afraid of as I read the book. It was hard for me to read the book, not because I didn’t like it but because Troy was so crazy scary that I was nervous about what he was going to do next. It was obvious that he liked Sparrow but that was because she didn’t just agree with everything that he said. Like most of us, we like the people that challenge us the most. I liked that while Sparrow fell for Troy and his bad boy ways, she never lost sight of who she was and what she wanted. She didn’t just give in because it was easier, but challenged him and made him work for it (if you get what I mean). She grew up in this kind of life so it wasn’t out of the realm of possibility that she would fall for someone like Troy. In fact, I would have been more surprised if she didn’t. The ending wasn’t what I had expected or hoped it would be. Throughout the book, we see all the ways in which Troy thinks and acts and how possessive he is over things that he claims are his. We see him in action when he goes through his revenge, but he gets to the bottom of two crimes that have wronged him? And what does he do? One quick shot and bam it’s over. Seemed a little out of character for him. I would have thought he would have wanted to do more. Perhaps if I had listened to it like the other reviewers did, I may have liked it more. I did like the back and forth between Sparrow and Troy but’s not enough to make me love the story. It’s an interesting enough read and its worth doing it if you have Kindle Unlimited. Sparrow is available on Kindle Unlimited on Amazon, also at Amazon UK , Barnes and Noble. What do you think of the book?